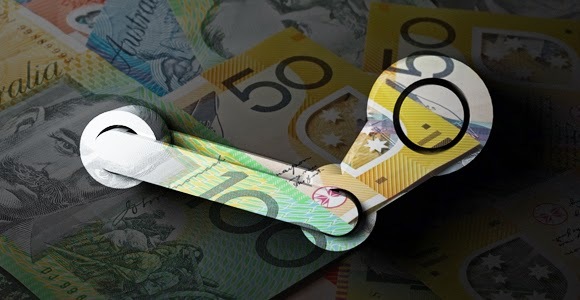 Make Money With Steam This Holiday Season! Winter is usually the most anticipated time for serious PC gamers, because the holidays mean one thing and one thing alone - gamer sales! Steam and EA's Origin, the two most popular digital game distribution platforms, have already kicked off their Christmas sales, and for gamers, this is nothing short of a spring vacation. However, for the business-minded, it is more than just a sale - it's an opportunity to make a few bucks easily. To make any money from Steam, you need to familiarize yourself with the concept of Steam trading cards. These are cards you can trade, or sell on the Steam market. There are two basic types of cards, game cards and holiday/sale cards. Each game on Steam has its own set of trading cards, provided that it is fully integrated with Steam and supports trading cards. To check if a game supports trading cards, visit its store page, and look for its Steam compatibility in the right sidebar. Additionally, you can see a list of all games owned by you that support trading cards by going to the badges page under your profile. Another type of trading card is the holiday/sale card. Steam runs a sale on holidays and special occasions all round the year, and the most common of these sales are the Summer and the Winter sales. Right now, the Winter/Christmas sale is underway. How to get trading cards? There are quite a few ways to get a card. Game cards are dropped randomly while you play a game. Each game has a collection of cards, but you don't get the whole collection this way. You only get roughly half of the collection for free. For a game with 10 cards, you might be allowed a maximum of 5 card drops. You can see how many card drops are left for each game under the Badges section in your profile. Here's a trick: If you don't have time to spend on playing a game, you can keep the game minimized while you do your work - the cards will still drop! This only applies to games that you purchased. For Free to Play games such as Team Fortress 2 or DOTA 2, you have to make purchases in-game to earn card drops. There are two types of game cards - normal and Foil. Foil cards are rare, and hence more valuable. So keep a special eye out for them. You can get holiday/sale cards while making game purchases during a major sale (Summer or Winter etc). Every $10 spent on a sale will get you a card. If that seems excessive, you can get a card by participating in the community voting. Every few votes in the 'Community Choice' deal get you a card. You can vote once in 8 hours during a sale, which usually lasts 10-15 days, giving you plenty of time to make a collection. You can also get cards by buying them from the Steam market, or trading them from your friends. Getting all the cards drops available for a game makes you eligible for a booster pack. You don't need to complete a collection for it. Once you complete a collection, you can craft a badge. So what are these badges and booster packs? A booster pack contains 3 random cards, which might include a foil card (more valuable). Booster packs are awarded rarely, but randomly, provided that you are eligible (i.e. have gotten all card drops for a game). You don't have to play a game to win a booster pack - you just need to log into Steam at least once a week. If you have purchased a game, but have not gotten all the card drops, then I'd suggest you do it as soon as possible. The more booster packs you're eligible for, the higher your chances of being awarded one. When you complete a collection, you can use it to craft a badge. Badges give you experience for leveling up on Steam (which is also important), along with a chat emote, a background, and sometimes a voucher. Steam has introduced a new concept this time around. You can use your cards to make Gems. Gems can be used to buy booster packs. So, how to make money off all this? I know all this might be confusing for beginners, but you'll soon get the hang of it once you familiarize yourself with Steam. Making money from steam is simple. You can sell all cards, badges, and booster packs for money on the Steam market. Now here's where it gets a little.....mathy. Normal trading cards are very cheap, unless the game is new. They'll usually fetch you less than a dollar. Sometimes, only a few cents. A card's price rises and falls over time, like a stock market. It all depends on the supply and demand. You can search for a card in the market and look at its price history to get an estimate on what the card is worth. Here's a look at the price history for one of the Holiday cards this winter. Foil cards are rare, but they usually go for a lot more money - sometimes up to 10 times as much as normal cards. Just like normal and foil cards, there are normal and foil badges. But it's often not worth crating a foil badge. You'll make more money by simply selling the foil cards. Now Booster packs go for a lot of money as well. Once you're rewarded with a Booster Pack, you can either open it or sell it. If you sell it, you'll get some decent money. But if you open it, and find a foil card in there along with other cards, you'll get even more money! But be advised that foil cards in booster packs are rare, so choose what you want wisely. Selling cards probably won't make you rich, but can give you a small and steady income. You can use that money to buy games for friends, who can then pay you in person. You cannot cash out the money you have in your Steam wallet. Or here's another idea. During the sale, you can buy games at a much discounted rate. You can then sell those games for more money (but less than the official price) once the sale is over. A lot of people buy games outside of sales, so you can hit communities and connect with people to find interested buyers. You can even earn hundreds of dollars if you're willing to invest! Considering that the Winter sale is currently going on, I say why not take these theories and put them to the test? I've already got a game minimized as I write this, hoping to get some card drops. And I'll be buying some more games from the great Winter deals as well. It's a great time to be gaming this time of the year - you can get some money off it!